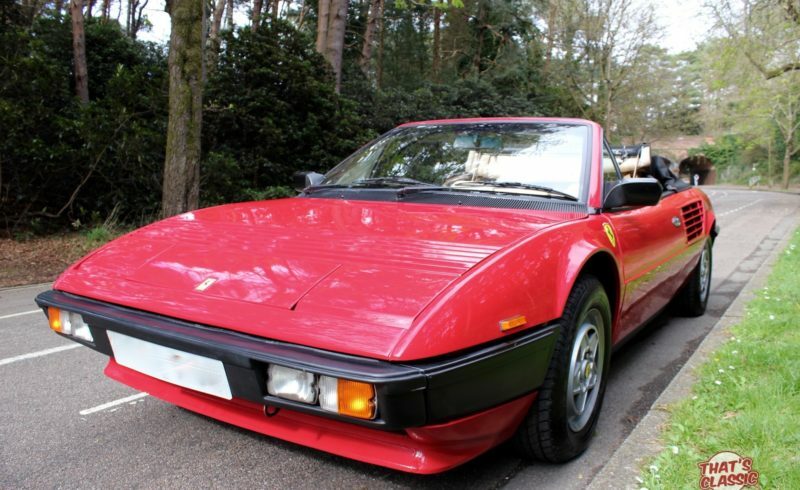 This very pretty Ferrari Mondial has covered 52,000 miles since new, It comes with a new mot valid until April 2018 . It has had a recent service and Cambelt change. 4 new tyre’s fitted, the correct tyre for this vehicle. The paintwork is excellent, the panel gaps are correct as they should be. No rust whatsoever and it even retains its original sills which all too often rust out and are replaced. These classic Ferrari’s have shown excellent investment potential over the last few years and are increasing in price very rapidly now. A Lovely Ferrari with great history, A very rare car these days, low production numbers and a beautiful colour combination will make this an excellent investment for the future.